The adventure drive will be flagged off from Agra on May 13 and will be traveling through Lucknow, Varanasi, Siliguri until it reaches Bhutan to enjoy the country’s picturesque landscape and experience its culture. The Gang of Duster, Renault India’s expedition drive for Duster owners has now gone international. he 12-day international iconic passion drive will cover a distance of around 2,000 kms. The adventure drive will be flagged off from Agra on May 13 and will be traveling through Lucknow, Varanasi, Siliguri until it reaches Bhutan to enjoy the country’s picturesque landscape and experience its culture. The year 2017 also marks the fourth anniversary of Renault India’s iconic Gang of Dusters successful journey in India. 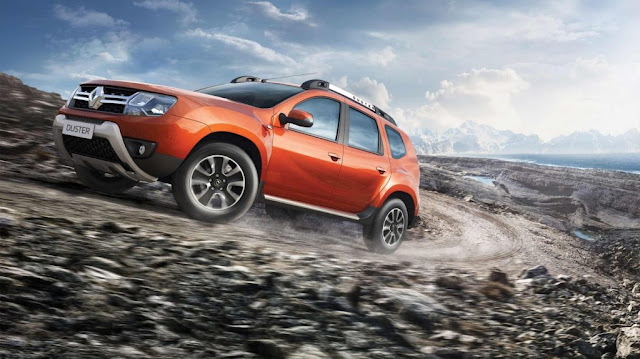 The Gang of Dusters is a special initiative by Renault to bring together the DUSTER owners through adventurous drives traversing across some of the most breath-taking landscapes. The Gang of Dusters is an excellent platform which provides the brand an opportunity to welcome the Duster owners in to the Renault Family and build camaraderie amongst the members. Gang of Dusters has also crossed the 1,00,000 community members milestone and is becoming one of the largest four-wheeler adventure driving communities in India. Renault India also associated with CEAT Tyres as the iconic Gang of Dusters embarks on its first-ever international expedition. Equated with thrilling adventure and exploration, Renault India’s Gang of Dusters initiative offers customers and their families a chance to enjoy long drives across the country along with the Renault team. Traversing across some of the challenging terrains in India’s most desirable SUV, the Gang of Dusters offers a great opportunity for driving enthusiasts to share an unmatched and unparalleled motoring experience. Participants of the Gang of Dusters will also get the opportunity to meet and share experiences with other Duster owners, visit historic sites, talk to a motorsport expert, experience off-roading across varied terrains, and attend adventure spots like River Rafting, Trekking etc. This is what can be aptly termed as ‘Living Life on the fast track’ where passion meets excitement and the road just doesn’t end. After all, more than just a community, Gang of Dusters is an experience where memories are made.